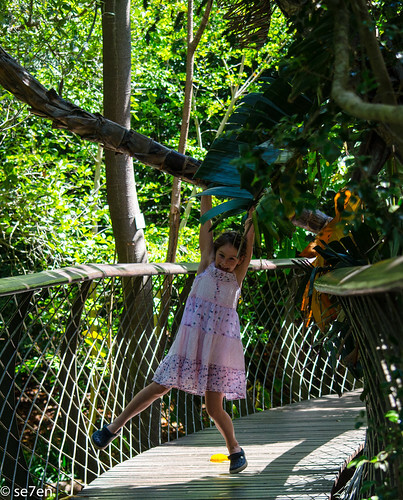 Summer holidays are in full swing over here… the shops are crazy busy and the beach are packed, but for those of you looking for an alternative there is always Kirstenbosch. Tons goes on at Kirstenbosch, but Capetonians always seem to be the last to know what’s going on here. 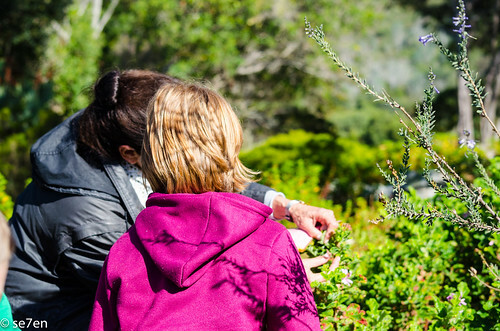 So this post is for local friends and their summer visitors, who are looking to make the most of their visit to Kirstenbosch… over the holiday season. 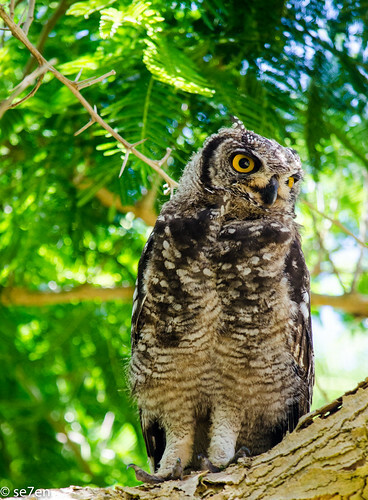 To be honest there is so much natural beauty at Kirstenbosch, always wild life… incredible birds, bugs and of course… the botanical gardens, so just amazing plants to look at, not to mention miles of walkways and hidden paths… something for every family of explorer to enjoy. 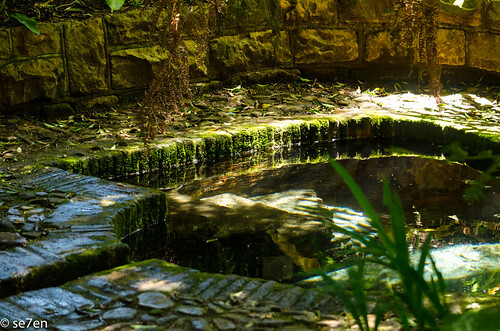 Go on a Shady Walk: What can I say, summertime is hot hot hot, but there is always plenty of shade and pretty places to explore and play in the gardens of Kirstenbosch. 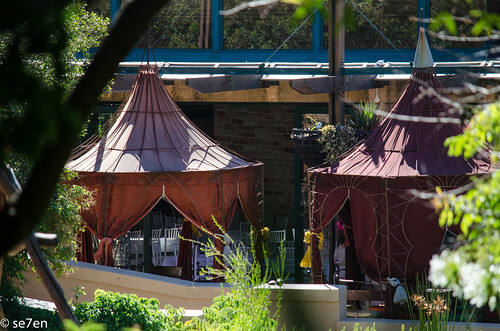 When you can’t face the shops and you have been to the beach every day and you are looking for a place in the great outdoors… where familys can picnic and children can play happily for hours and grownups can read a book in a shady spot, then Kirstenbosch could well be your venue of choice. Guided and Themed Walks: Take a guided walk, there is a list of walks and events on a board at the entrance. Guided walks are free once you are in the gardens, so pay your entrance and then find out when the next walk takes place. Our enjoyment of all things Kirstenbosch grew enormously when we started tagging along at guided walks. One thing that Kirstenbosch has is volunteer guides that are absolutley passionate about their topics. At a bird walk you are going to get a birder and a flower walk you are going to get a botanist… don’t be afraid if you have overly curious kids, turns out they are perfect for themed walks. Really, these guides are passionate and happy to answer dozens of questions that children were not afraid to ask and adults are often too shy to ask. Not only that, but they will take you to secret ponds and show you where to find the best trees for climbing… they know their topics and they are happy to share the magic with the younger generation. Here is a link to the free guided walk timetable. The Boomslang: Follow the directions from the entrance to the Canopy Walkway, called the Boomslang, that stands high up the indigenous trees. the There are few things better than sitting right on top of a forest… most folk walk over the boomslang. Make use of the many benches along the boomslang and just sit and watch, you will spot birds, insects and butterflies that you would never normally see from the ground, looking up. It can be quite busy at times, but we have found that there are always gaps and if you just settle yourself in for some quiet time, maybe with a notebook and pencil for some nature drawing… you will see lots of incredible things that you can only see when you are at the top of a forest. 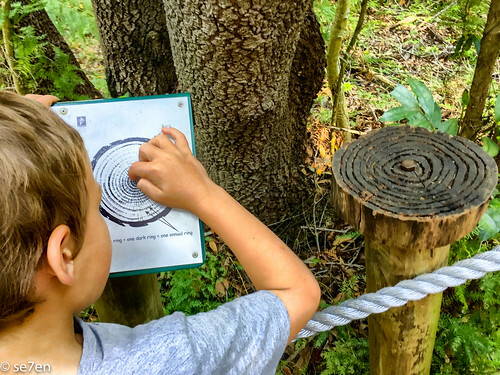 The Braille Trail: If you are looking for something a little wilder than garden paths, but that isn’t a hike to the top of Table Mountain, something that toddlers and grandparents can enjoy together, then head for the Braille Trail. It is a lovely walk in the wilds, and takes about half an hour of ambling… shade all the way, plenty to learn about and just good fun too. Go on a Treasure Hunt: Head to the book store and grab one of Struik Nature’s Find 50 in Kirstenbosch, then head out on an adventure to find all the treasures hidden inside. 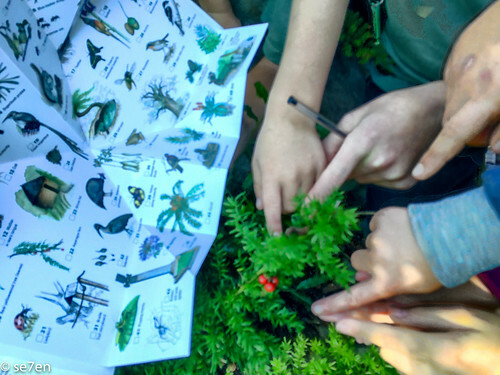 This is a great activity to do with a group of friends, our kids have really enjoyed searching through the gardens for historical and cultural sites, as well as finding other features, like special trees and specific park benches… as well as the harder to spot little creatures and birds that you have to know exactly where to look to find. This is a great activity for a group visit… seriously is there anything better than a treasure hunt. The Craft Market: One thing about Cape Town is that we have plenty of fabulous crafty markets… and Kirstenbosch has a long standing tradition of being one of the original, not to be missed craft markets… I have to recommend that if you do visit the market with young children that you get the early before the inevitable crowds arrive and then head for the gardens immediately afterwards to feast on any picnic ingredients that you can accumulate at the market. 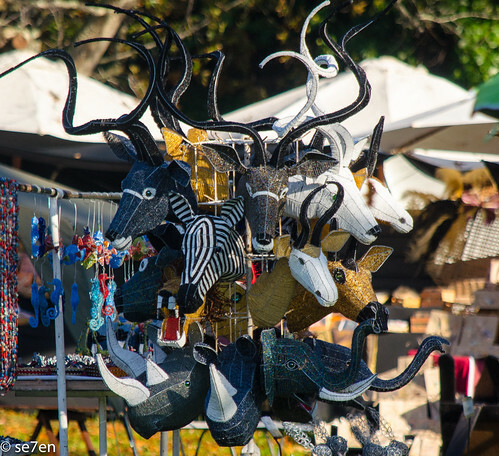 The market has lots to offer locals and visitors alike… even if it is just to wander through and admire lots of local artists and their wares. The market is on specific Sunday mornings and here is a list with the dates for any impending markets. A Visit to Moyo Restaurant: The father person and I had a voucher for the Sunday morning breakfast buffet, just the two of us and it was lovely. We got their at opening time, and the atmosphere was peaceful and quiet, this is the city of late-risers after all. The food was brilliant… absolutely brilliant. And the service, full of confident smiles, was excellent. We had to dash off but not before tasting something from every corner of the buffet: which consisted of a yogurt bar, any number of hot breakfast delights… and freshly baked pastries, waffles and of course, Kirstenbosch’s signature scones. We would definitely take our kids there for a lazy Sunday breakfast in the gardens, sitting outdoors surrounded by sunbirds and fynbos. Summer Sunset Concerts: And summertime is definitely the time to enjoy the Summer Sunset Concerts on Sunday evenings, there is something on the programme for everyone. We will be attending later on in the season and will be sure to report back on it… in the meantime if you haven’t entered our GiveAway for free tickets then click on this link and leave a comment!!! 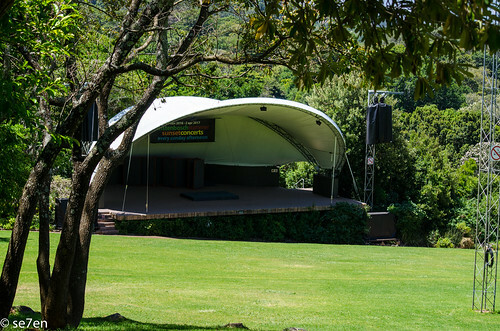 The Season for the Kirstenbosch Summer Sunset Concerts. 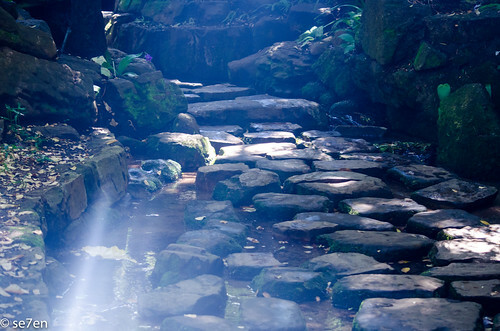 Se7en Discover the Streams, Springs and Ponds at Kirstenbosch. Se7en Visits Kirstenbosch and the Winter Wonderland Programme. Thanks to Kirstenbosch National Botanic Gardens for supplying us with entrance tickets for the gardens. This was not a sponsored post and opinions expressed were entirely our own.